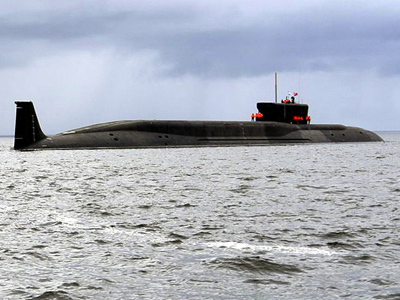 On Monday, the Russian Navy’s second Borey-class nuclear-powered submarine, the Aleksandr Nevsky, has entered service. 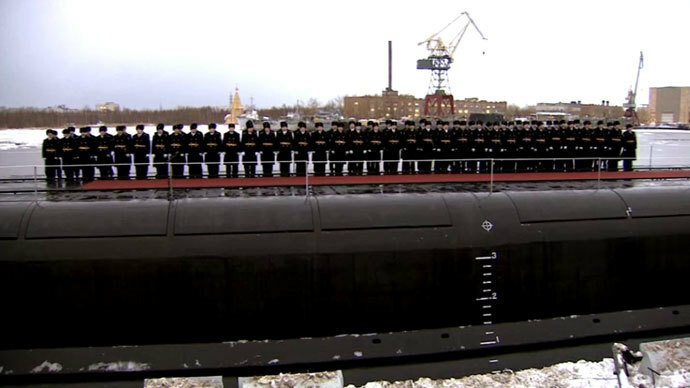 The sub is part of a next-generation class that will be the backbone of Russia’s sea-based nuclear deterrent for decades to come. The ceremony marking the submarine’s entry into service was initially scheduled for Dec. 21, but was postponed by two days. Defense Minister Sergey Shoigu was the highest-ranking government official present at a navy shipyard in the northern city of Severodvinsk, for the ceremony of the Aleksandr Nevsky raising her new flag. “The St. Andrew’s flag raised today is the boat’s combat emblem, which symbolizes her readiness to defend this nation’s interests in seas and oceans,” Shoigu said. The submarine had been undergoing sea trials since October 2010 and completed them in September. 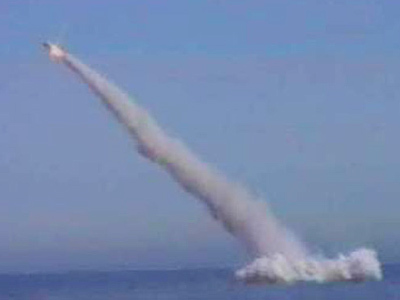 It was also involved in test-firing Bulava intercontinental ballistic missiles, the designated nuclear weapon for all Borey-class subs. “We had some 14 sea voyages. The boat proved to be quite reliable. She is also very fine in terms of speed and maneuverability,” Vasily Tankovid, Captain first class of the Aleksandr Nevsky, told RT. Aleksandr Nevsky is the first series-built submarine of the class. Its predecessor, the first-in-class sub Yury Dolgoruky, has been part of the Navy since January. Two additional Borey-class submarines are currently in the making, with Vladimir Monomakh undergoing sea trials and expected to enter service next year and Knyaz Vladimir currently being built. As many as eight submarines of the class may eventually be brought into service. Five of them, starting with the Knyaz Vladimir, will feature a significantly upgraded version of the Borey design. 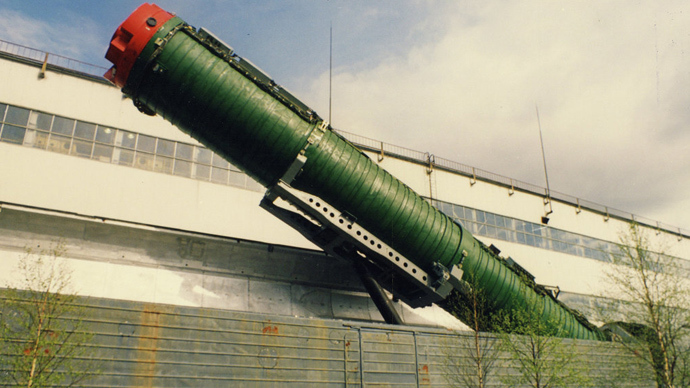 They can carry 20 of the solid-propellant Bulava ICBMs, as opposed to 16 for the original version. The Borey-class subs are 170 meters long, can dive up to 450 meters and travel at speeds of up to 29 knots (54 kilometers per hour) when submerged. In addition to the ballistic missile launchers the subs are equipped with 533-millimeter torpedo tubes and carry RPK-2 Viyuga anti-submarine missile systems. Each vessel has a crew of 107 sailors and officers, and are fitted with a floating rescue chamber to evacuate all personnel in an emergency.